“Our clients are cash flow positive from day one,” South African company Energy Partners claims on its website. 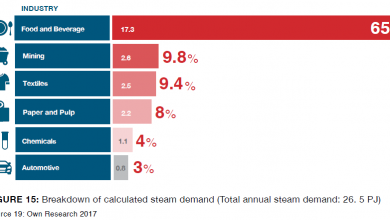 Up until now, it has been offering heat and steam purchase agreements, mainly on coal boilers, to industrial and public customers. 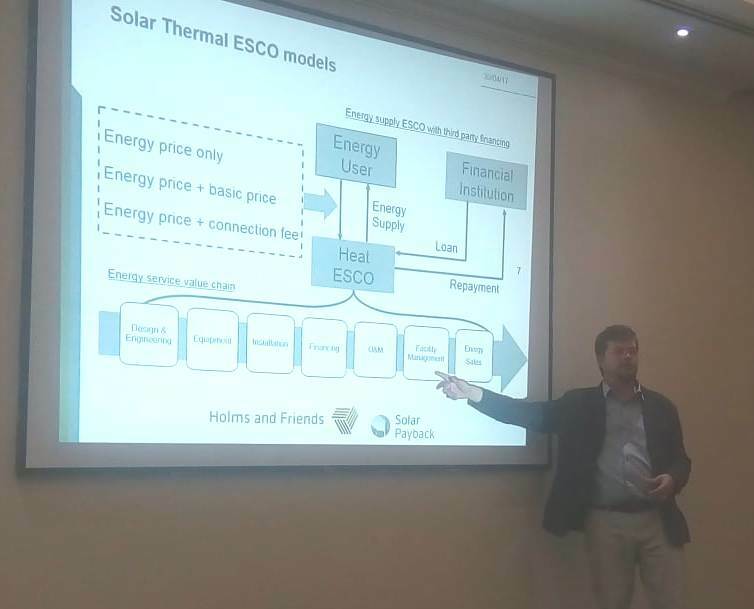 “Purchase contracts for solar heat in combination with fossil fuel boilers could be part of our portfolio in the future,” Johan Kritzinger, Head of the Steam division at Energy Partners, said after participating in a policy workshop organised on 24 July in Pretoria by the local partners to Solar Payback. System economics will determine how attractive the option can become. 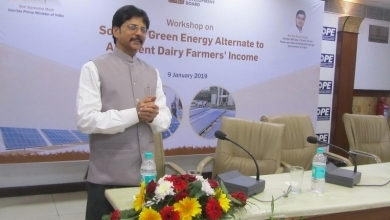 “If the cost of the installed solar system is around 300 EUR/m2 without storage, it could be economically feasible to combine solar heat with a gas, LPG, diesel or paraffin boiler,” said Kritzinger. However, larger solar fields in South Africa have been much more expensive. 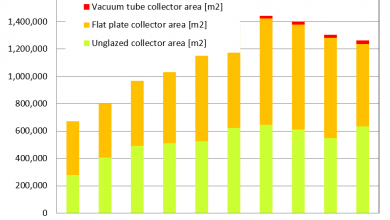 A 2016 market study of 89 solar thermal systems measuring more than 10 m2 showed that, on average, specific costs, including installation, were 603 EUR/m2. The conclusion from the workshop discussions was that solar heat and steam delivery models, or ESCOs for short, would be a means to address perceived risks and could increase SHIP deployment. “Our preferred business models are power purchase agreements for electricity and heat or steam purchase agreements for heat,” explained Kritzinger. He said that an increasing number of energy technology suppliers in South Africa were using ESCO models in those contracts. He estimated that more than 40 agreements for delivering heat or steam were in place across the country. Typically, Energy Partners offers several options from which clients can choose. One such option is the purchase of a boiler by means of a BOT, or build-operate-transfer, contract. The contract term is often more than five years. The other is a heat or steam supply agreement for up to 10 years, during which Energy Partners will supply the capital, own the assets and run as well as maintain the plant. A third option is the operation and maintenance of a boiler which the client already owns, often for about three years. Energy Partner’s first-ever project on heat supply was implemented in August 2014 at Pioneer Foods in Wadeville, near Johannesburg. The client switched from heavy fuel oil to an 8-tonne-per-hour coal boiler and signed a rand-per-tonne supply contract. As reported at foodreview.co.za in 2015, Pioneer Foods had been satisfied with the results of the partnership. “Significant savings have been realised without large preceding capital expenditure. In addition, the new boiler operations have not been a distraction,” so that everyone could focus on their jobs, Piet Burger, Group Supply Chain Executive at Pioneer Foods was quoted as saying in a news article. The firm’s latest, and still ongoing, project is being implemented at an abattoir, where “the company upgraded its meat processing capacity. We offered them an additional coal boiler and recommended putting the existing liquid fuel-based boilers, which we will also operate and maintain, on standby,” said Kritzinger. Management chose the steam supply contract over the equipment purchase option. Energy Partners is a fast-growing business. Founded in 2010 and headquartered in Cape Town, it employs more than 500 staff and offers turnkey solutions for a wide range of applications. Besides heat and steam, those are refrigeration, solar electricity and water treatment. About 10 to 20 % of its projects in the fields of heat and steam and photovoltaic systems involve the use of ESCO models. The number is rising, as the model is becoming more widely accepted. UK-based PSG holds the majority of shares and provides the financial backing to offer these ESCO models.